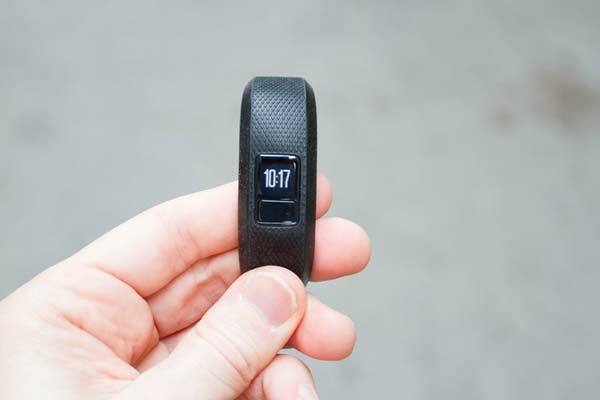 What You Should Know About Garmin Vivofit3 Activity Tracker? The device has all the features that a normal fitness tracker should have. It does not capture the rate of heartbeat, but instead, records your sleep and the distance that you may have covered during the day. All this data can be easily monitored and viewed from the trackers backlit display. The gadget has audible alerts and stopwatches to remind users if they turn inactive for long. Unfortunately, the device does not support the vibration mode or ringing, thus deterring you from using it as an alarm, in the morning. The feature is included in the firm’s competitors like Jawbone and Fitbit. But unlike these fitness trackers that will just buzz if you are inactive for some time, the Vivofit displays a red shaped bar that appears below the typical metrics and grows proportionately to the time you are inactive. When resetting the bar, just stand up and move. A simple walk to the water cooler or around the office will reduce the inactivity levels. Garmin tracks more than the normal activity. It also has a sleep monitor. The gadget will record everything apart from the heart rate. You will need to purchase your compatible heart monitor so as to capture the advantages of a tracking feature. Data accuracy is very crucial and part of the puzzle for this software. There is even the motivation aspect that needs to be addressed. The Garmin trackers always perform better than other users a factor attributed to the auto goal features and the move alert bar. The auto target acts as the success story that reminds you to move even more and at times adjusting your daily goals based on your, or lack of daily progress, daily steps, heart rate and calories burnt within a span of one month. 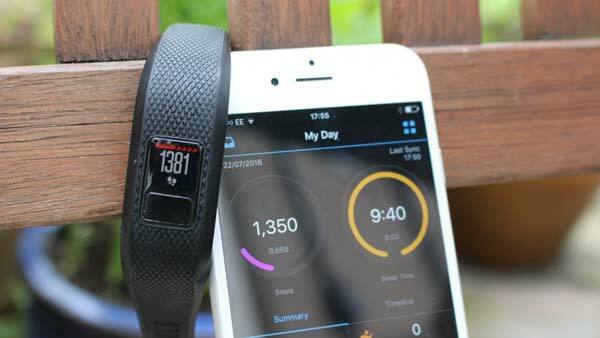 Vivofit3 has a design that enables you to track your movements, activities and sets goals that are within your range. Unlike other pedometers that require you to develop your goals manually, the Vivofit3 sets the goals automatically allowing you to attain them gradually. Whether training for athletics competition or just to observe leisure and stay fit, vivofit is the gadget to choose. It has a durable rubber band housing the real device and which is resistant to sweat, shower water and rain. Garmin has made drastic changes to the Vivofit3 model, the common one being the slight redesign. The display on the model is smaller than that of other models. The tracker too has been designed to capture details on how you rack from moderate intensity activities to vigorous ones. It will automatically discover activities like swimming, walking, biking, elliptical training and run. It is the home to all your data and remains more complex place when compared with Jawbone, Misfit, and Fitbit connection apps. The app has so many tabs, sections and drops down menus that overwhelm it to a newcomer in fitness tracking. The snapshot tab will give you an overview of general things like steps, sleep patterns and also offers the ability to join or connect to the MyFitnessPal that feeds the calorie counting data. The more you swipe it, the more you drill deeper into the data, so keep swiping. There are also other portions that you may never touch; they include the Garmin Connect IQ that is purely developed for smartwatches and fitness tracker and not a gadget like this. With the app, you can change various device settings like switching off the move alert tones or even select a different watch face though the split screen is pointless on the small screen. Garmin insights is a simple way of informing you that it is not all about recording and capturing data, rather it is the right time to place it in the context. The app will send you messages based on the auto goals that are generated from the past step counts. For example, the machine may instruct you not to sleep more on the weekend. Using Garmin’s Connect, which is a Garmin online fitness group, you can synchronize data to check daily accomplishments and normal stats. You can connect to Garmin connect through the social media of your choice. By eliminating the backlight and simplifying the synchronization, abilities ensures that the teams’ costs have been reduced. The gadget records the intensity minutes to capture accurately the amount of time that a person spends out working. It uses the Garmin’s move IQ a software that enables it to track and recognize the activities that a person gets involved with. It will record the start and the finish and then add them to the calendar found in Garmin Connect app. Garmin Vivo Fit 3 battery has the capability to last for a year. It is comfortable, with the ability to track distance, calories, steps and sleep. It is also waterproof. It has a small and dim screen, standard design and very slow to register an activity automatically. It does not have the ability to count the number of stairs that you climb and charges quite an amount of money. Garmin is excelling with the wearable within its range, and the Vivofit3 feels more like an underwhelming addition. As a robust fitness tracker, it delivers on the places and aspects that matter most. Its small screen enables it to conceal its best features. 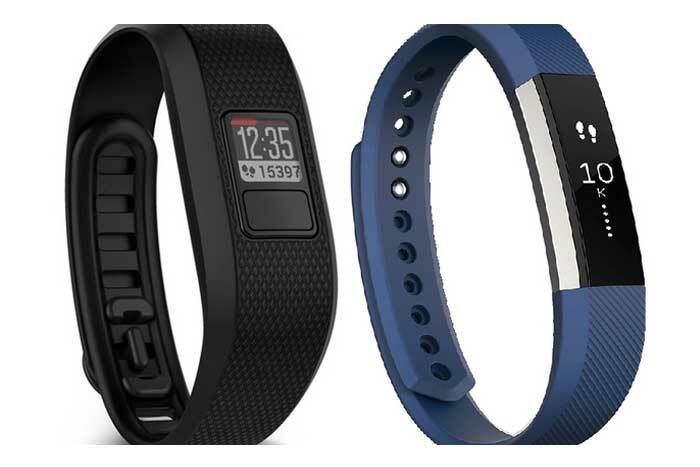 When looking for an affordable and necessary wristband that couples as an activity tracker, then Garmin Vivofit3 is the option to choose.